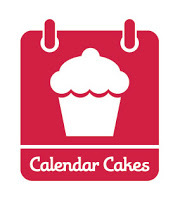 I do love taking part in blog hops and wanted to join in with Calendar Cakes. This is a monthly blog hop organised by Dollybakes and byLaura Loves Cakes, both are fantastic blogs that I love reading when I get the chance. 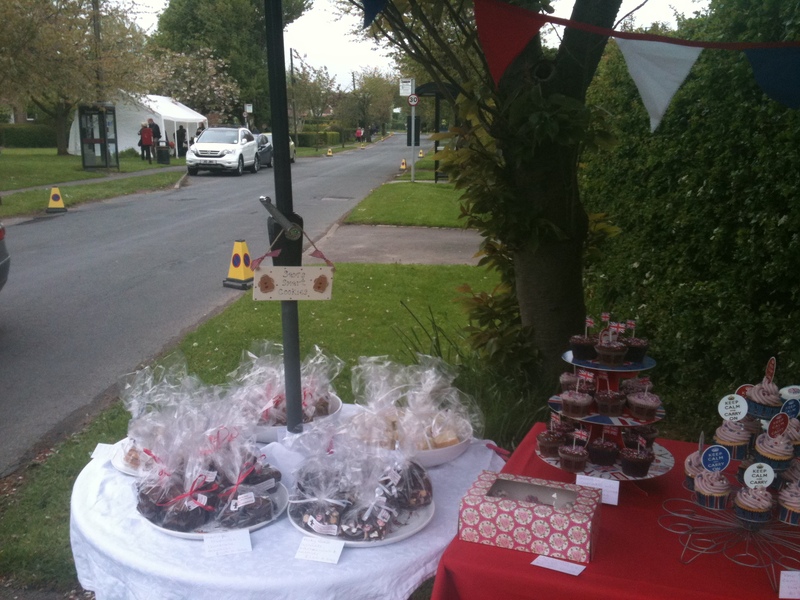 This month’s theme is “The Village Show” and was a perfect time for me to think up what to bake for it. Next month is my own village’s Open Gardens which is always popular. I am not green fingered and my husband hates the idea of opening our garden up and having total strangers trampling around it. Not that they’d have anything spectacular to see. As I like to support the community though I have a cookie and cupcake stall outside my gate where all the proceeds go to the Village Fund. This means I can give support through something I can do, which is baking! 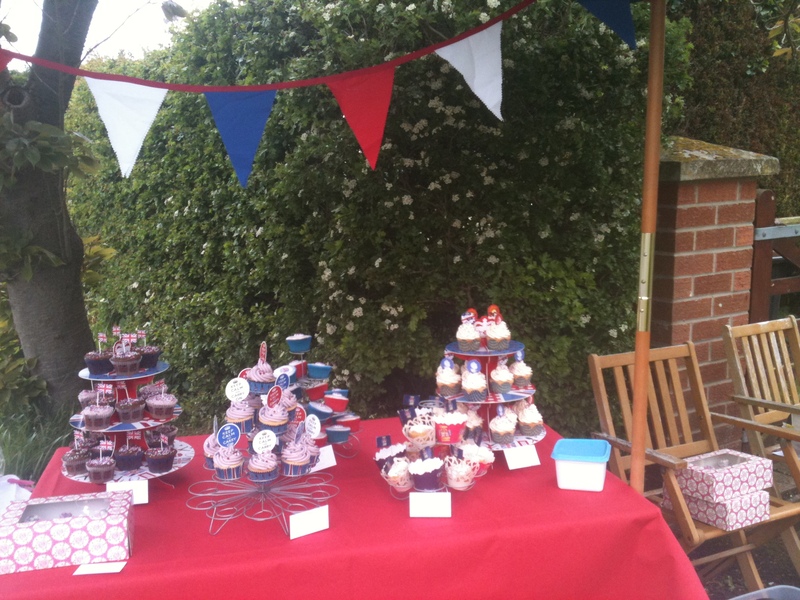 Cupcakes all laid out for sale on my Diamond Jubilee themed stall- May 2012. Bags of shortbread, brownies, rocky road and flapjack. Here are some photos of my bakes in close up. This year will be the fourth year I have had my stall outside my gate and it is always well supported. I try to have a theme to my bakes, one year it was flowers, another Spring animals and last year was a Jubilee themed one as we were building up to the Queen’s Diamond Jubilee then. 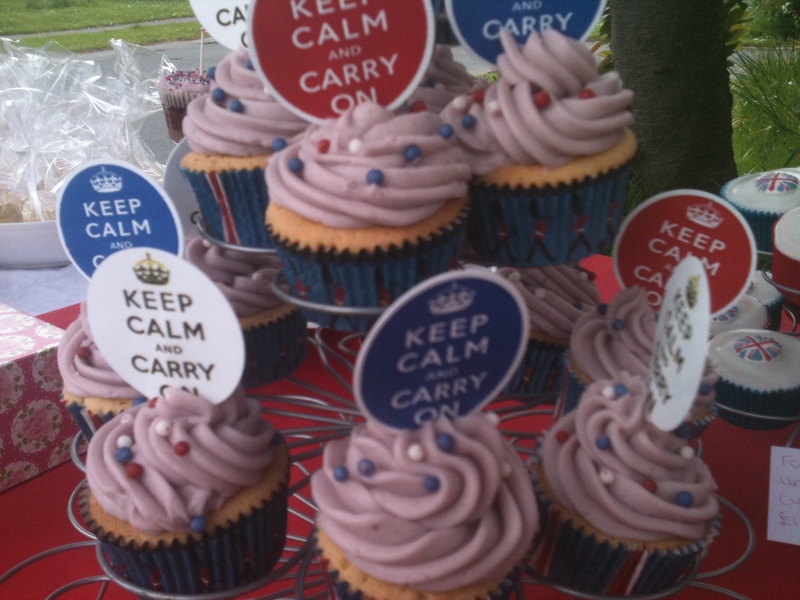 Vanilla cupcakes with Keep Calm and Carry On Picks, found these on Ebay! 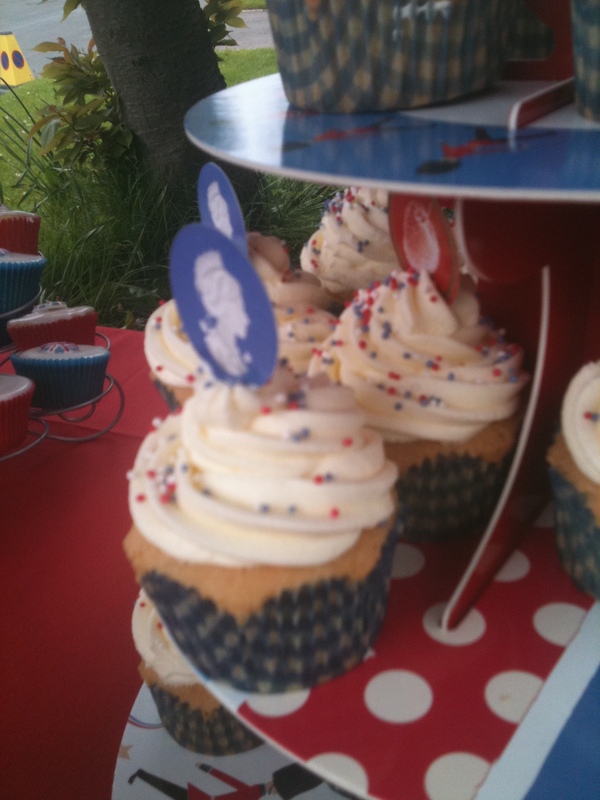 These Queen decorated cupcakes were popular with young and old alike. Another bake that went down well with customers were these individual baked Victoria Sponges wrapped in cupcake wrappers. This year I will be running my stall again, weather permitting of course and am planning on trying out a couple of new things alongside my tried and tested favourites. I always think of village shows as places where you can sit and have a cup of tea and a scone so I thought about baking some Earl Grey tea cupcakes. I looked to the fabulous Cupcakes From The Primrose Bakery book which I have used constantly since I bought it about 2 years back. I had not tried the Earl Grey cupcakes recipe though, so this time it was a great excuse. Last Friday I was baking a cake and thought I would have a go at the cupcakes while I had all the ingredients out. 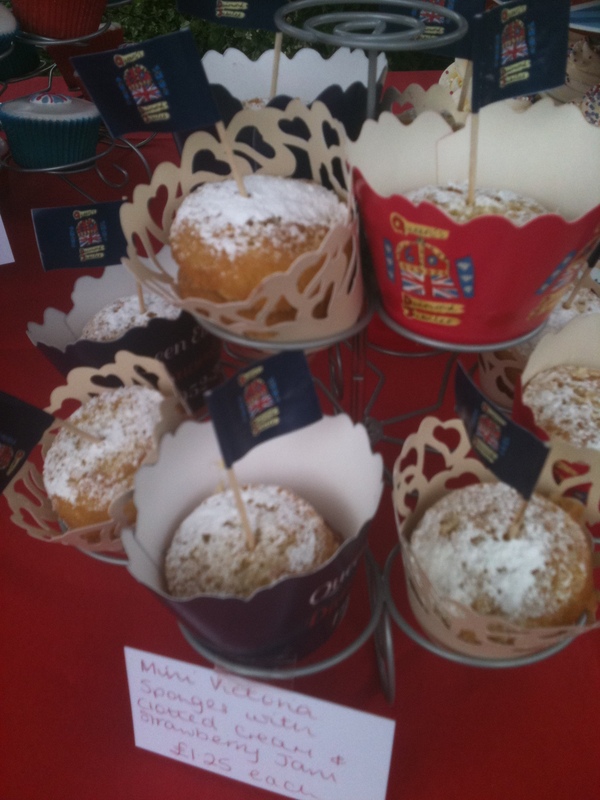 Earl Grey cupcakes: they conjure up images of village shows and fetes. First of all you had to infuse four Earl Grey teabags in some semi skimmed milk at room temperature. This was left for about 30 minutes. While this was going on I looked out the cupcake cases I wanted to use. I found some lilac ones with pink and yellow flowers from Wilton that had been in my cupboard a while and I hadn’t used them. I then creamed butter and sugar together, adding in some almond extract and eggs. In a separate bowl I combined sifted plain and self raising flour. All the ingredients were then finally combined with the infused tea mixture. This smelled heavenly and I thought almonds worked well with the bergamot flavour of the Earl Grey. I spooned the mixture into the cupcake cases carefully and they were quite full to create a dozen of them. They baked in the oven for about 20-25 minutes. Once they were on the rack and cooling I made up some vanilla buttercream. I personally find the buttercream recipe in the Primrose Bakery book rather sickly sweet but I thought I would stick to the recipe. I always make double what they say because it never goes far enough for me when you are piping it on with a star nozzle. The book suggests adding some violet food colouring to your icing to complement the Earl Grey cupcakes. I used up the rest of the purple gel paste I had bought for the Rainbow Easter cake I had made a few weeks back but it wasn’t enough and I thought the mixture did look like it had tinges of grey in it, rather than lilac! 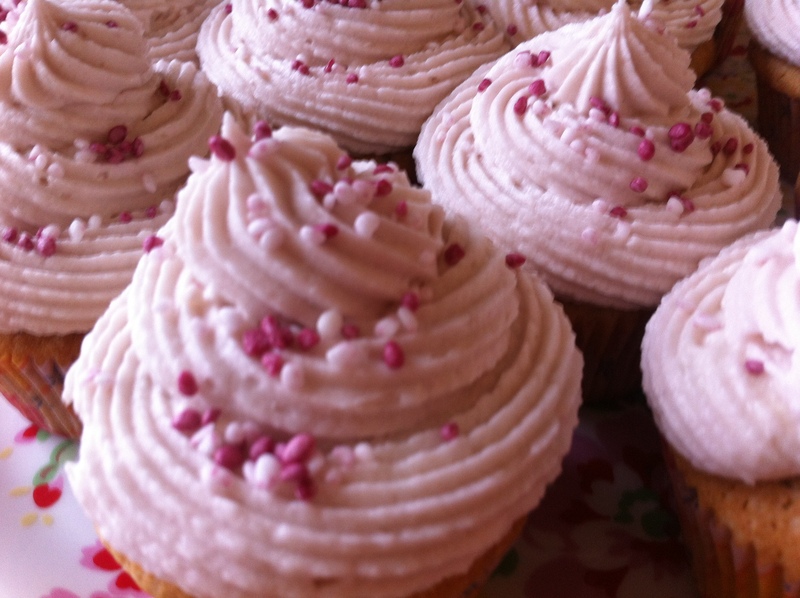 Now looking at the pictures of the cupcakes, the icing looks pink! I didn’t have time to make any sugarpaste decorations, neither did I have any to hand so on went some pink and white sprinkles! 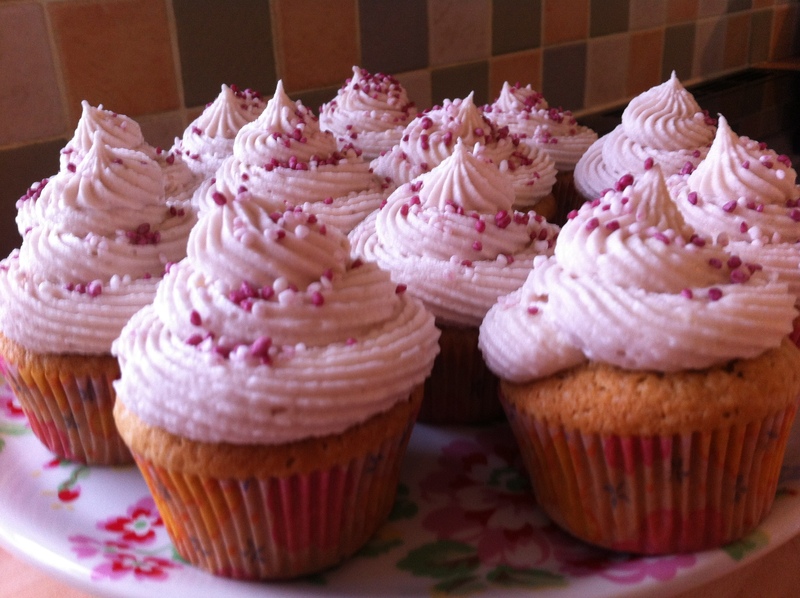 The finished Earl Grey Cupcakes, perfect with a cup or pot of tea at a village show. Hope you enjoy looking at all the other entries to Calendar Cakes this month. I’m looking forward to browsing through the others (and drooling at all the delicious bakes) at the same time. Thankyou. I’m not sure whether to go ahead with it or not due to the weather. I haven’t seen the weather forecast for the weekend yet but for Yorkshire on Thursday and Friday it’s showing rain! If it shows rain for the Sunday I will give it a miss!